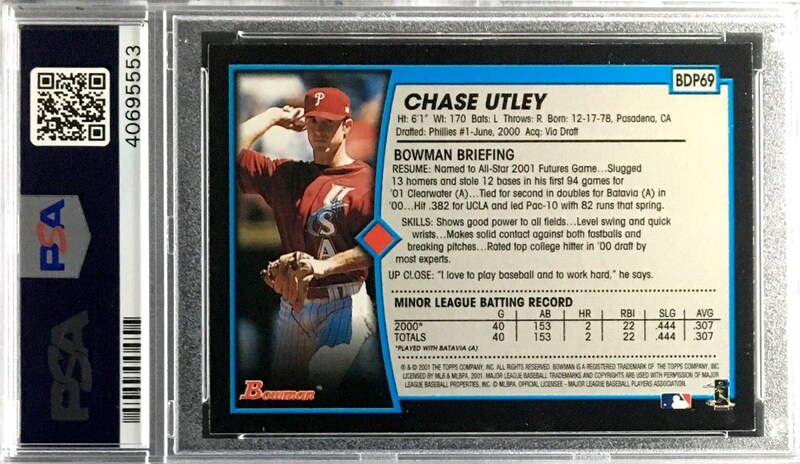 Up for your consideration is a 2001 Bowman Draft Picks #69 Chase Utley Rookie card. Utley is a six time all star and is remembered for his leadership and contributions to the Phillies organization. 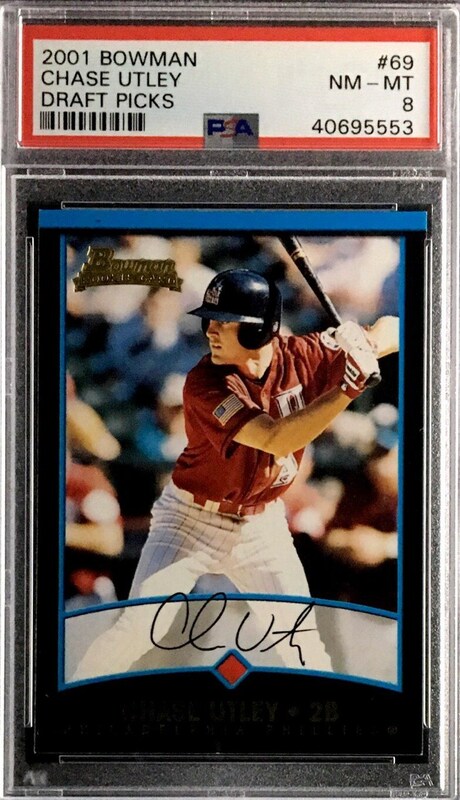 Offered here is his Bowman Rookie card graded a PSA 8.